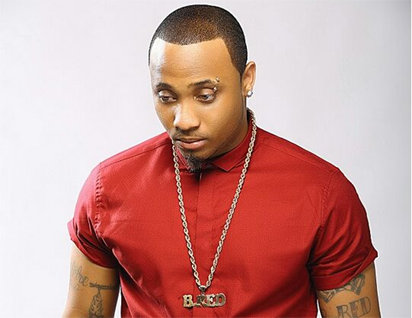 Davido has left you in HKN, having his new record label DMW, What is your reaction about that? Aside from being a label mate, Davido is my brother. I’m always with him. I’m always chatting with him. We just shot my new video ‘Fall For You’. Because he owned a label now, doesn’t imply that we are having issues. We are still together, we still make music together. I just think what people need to understand now is that, he has his own team, I have my own team. And we still love each other. Is there competition in any way between you and Davido’s new record label signings? Not at all, there is no competition in any form. I am competing with nobody, instead we are being supportive. I am just doing my own thing, so I perceive every other person doing theirs. Mayorkun and I are cool, I was even at one of his recent video shoot and it’s a success which I am proud of being involved. Would It be Erroneous To Say One Has Not Seen More Of You In the spotlight ? I’m always in the spotlight. I don’t understand what you are talking about.. So what do you have out there making waves? I just dropped my new single, ‘Fall For You’ featuring Davido. It is out right now. I had over 400k views in 6 days, and I’m sure one can record that as good start. I am really confident it’s doing well. Will you say the Nigerian music industry is doing well? We’re doing great, not well. I think we are doing excellently. if you compare the industry of like five years ago up to now, I think we are doing great. What were the challenges you encountered before stardom? What are my challenges like coming from America to Nigeria? It is the same thing for everybody, and it is the same thing for me. I went through some tussles, whereby people see you as not relevant when you are not known like that as an artiste. But I thank God, here we are now.